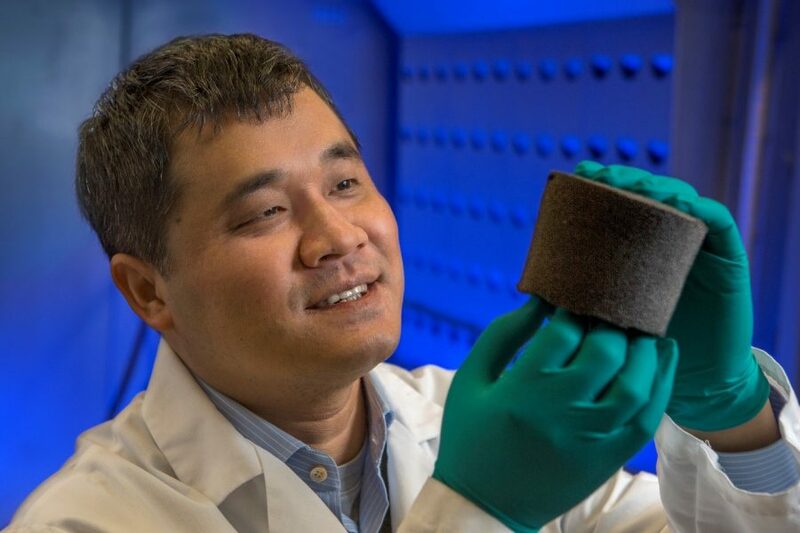 Changchun "Chad" Zeng, an associate professor of engineering at the FAMU-FSU College of Engineering, developed an advanced foam technology that has gone on to benefit several elite athletes at FSU. When a technology developed by university researchers is licensed and integrated into a commercial product, that’s considered a resounding success. But when that same product eventually benefits student-athletes at the researchers’ own university, that’s cause for special celebration. This was exactly the case for an advanced foam technology developed by engineers at Florida State University’s High Performance Materials Institute. The foam, which was originally designed for use in prosthetics, now provides critically supportive padding in the TayCo Ankle Brace, a sophisticated bracing system used by athletes at Florida State. 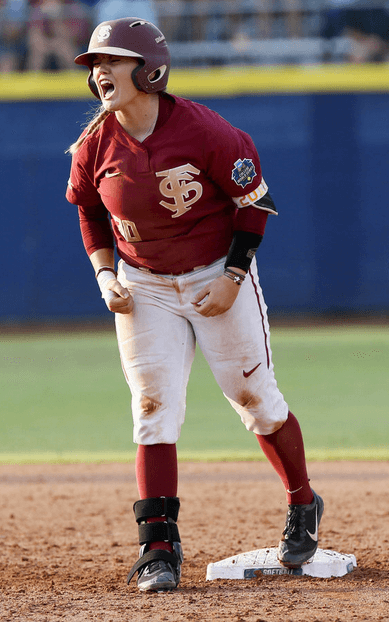 Along with several FSU football players, star softball player Jessie Warren was one of many notable athletes to benefit from the brace, which was designed by an athletic trainer at the University of Notre Dame. Last summer, Warren could be seen wearing the brace during her team’s historic run to the national championship. Zeng’s foam was the product of a two-year project funded by the U.S. Department of Veterans Affairs. Since being exclusively licensed to the LLC Auxadyne, the technology has experienced significant commercial success in athletic protective equipment and footwear. Auxadyne President Joe Condon, whose company produces foam pads derived from Zeng’s cutting-edge material, said the TayCo brace is a uniquely fortuitous case of technology commercialization. The foam’s mind-bending behavior affords it a number of distinct advantages over similar technologies, according to Zeng. Most materials, when stretched in one direction, will shrink in other directions. Think of the way a sock or a dish towel seems to shrink in the middle when tugged on both ends. 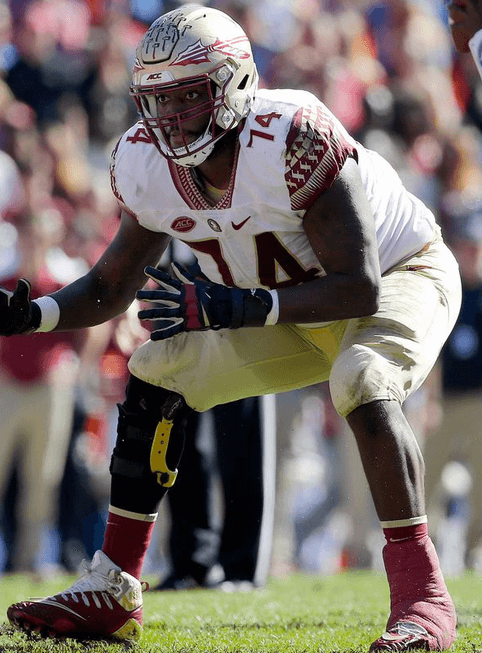 Though the brace has to be concealed with tape during football games, players like former FSU offensive lineman Derrick Kelly (above) still benefit from its reinforced support. Zeng said these impressive properties become especially valuable in a product like an ankle brace. Superior and unrestrictive fit, robust and resilient protection, effective energy dissipation and a light-weight composition make Zeng’s foam the perfect complement to an ankle brace’s rigid plastic skeleton. For Jake Pfeil, FSU’s executive associate director of sports medicine and head athletic trainer for football, that auspicious combination of factors was too good to pass up. In fact, he and his staff incorporated the brace into their training and prevention regimens long before learning about its FSU connections. Along with the convenient and comfortable external fit, the TayCo brace allows for increased customization, so that bespoke braces can perfectly support the specific contours of an athlete’s cleated lower leg. The brace can also serve as a walking boot substitute. When injured athletes wear walking boots, the thick stabilizing soles often lead to uneven foot strike with the ground — an unwelcome disruption of the athlete’s natural biomechanics. The brace, on the other hand, allows injured athletes to wear their own shoes while also benefiting from the brace’s reinforced support. 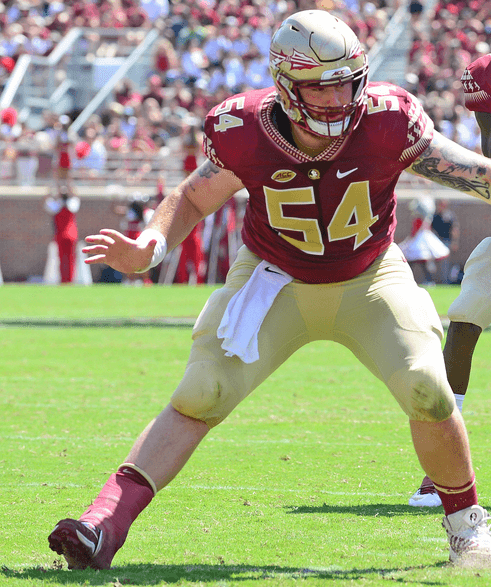 Former FSU center Alec Eberle digs in with the help of the TayCo brace. But underpinning the brace’s manifold advantages, said Pfeil, is the comfort and versatility provided by Zeng’s foam technology. The brace’s foam lining helps avert stress-induced damage at important, high-impact areas of the leg. The foam also prevents the brace’s stays from migrating out of their appropriate positions, which could lead to “breakdowns in proper fit, discomfort and, most importantly, failure of the brace to support the ankle,” Pfeil said. The high performance of the foam matched with the comfort and flexibility of the brace’s design has given Pfeil and his staff the confidence to introduce the TayCo brace into their everyday athletic training schemes. As far as Pfeil is concerned, the world-class quality of the brace itself is enough to make it a mainstay in his training rooms. But the brace’s direct connection to the groundbreaking research conducted at FSU has become a point of pride.